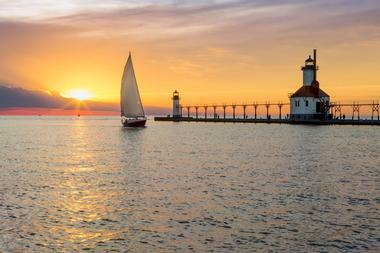 The United States is home to a staggering 117 million lakes, and many are a fun recreational destination. But there are some that stand out from the crowd, like the seemingly endless waters of the Great Lakes or the mountains that rise up from the edges of the lakes in the Cascades. The lakes on this list offer amazing boating opportunities, including fishing, diving and other watersports. Lady Bird Lake in Austin, Texas, is a pretty little lake located right in the city of Austin. It is about six miles long and although it was once one of the most polluted lakes in the region, it has been cleaned up, stocked, and beautified into the picturesque version it is today, with parks and walking paths at its edges and fish swimming in its waters. No motorized boats are allowed on the lake, but rowers, kayakers, and paddleboarders will enjoy the serene waters of Lady Bird Lake on a sunny Austin day, while anglers and fishers will find large and smallmouth bass, pike, and catfish, to name just a few. There are also several natural pools that connect to the lake, which make great swimming holes. 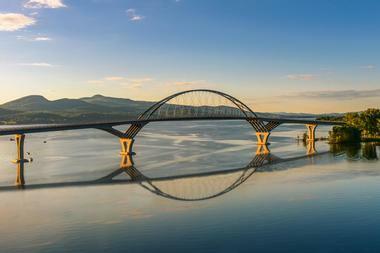 Lake Coeur d'Alene in Idaho lies nestled at the foot of the Rocky Mountains and covers about 30,000 acres of space. The lake was formed by a glacier, and it is a recreational paradise. There are opportunities for hiking, swimming, camping, and golfing near the lake, and fishing enthusiasts can join other hopeful fishermen each morning in the search for chinook and kokanee salmon. Fly fishing is also popular, and those who wade into the shockingly cold alpine waters may find cutthroat trout and rainbow trout. There are also opportunities for dock fishing, as well as fishing from a boat, of course. Several cruise boat tours operate on Lake Coeur D’Alene, and experienced divers can even look for old Ford Model Ts that now reside at the bottom of the lake. 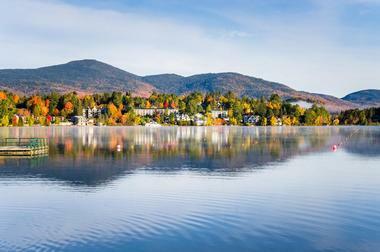 Lake Placid lies amidst the ancient and beautiful Adirondack Mountains, iconified by the tall, dark green pines that line the slopes of the peaks and the clear, reflective mountain lakes that lie at their feet. 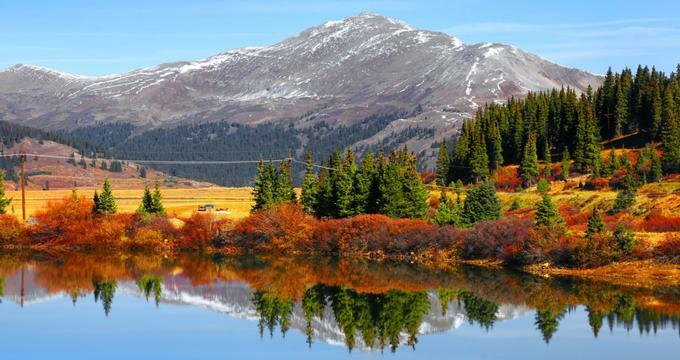 There are two islands in the middle of Lake Placid, both of which are popular destinations for boaters who fancy a picnic and those looking to spend a night camping. Fish in the lake include trout, pike, smallmouth bass, and perch. Those who don’t own their own boat can rent one on Lake Placid and kayak and canoe rentals are also available. There are also lake cruises offered on Lake Placid, which is a great way to sit back and learn about the area through an informational tour out on the water. Lake Charles, a brackish lake in Louisiana, is located adjacent to a city of the same name. The city of Lake Charles is home to casinos, golf courses, and over 75 festivals throughout the year. Its lakes, including the titular Lake Charles, are varied, and offer plenty of boating options, from a chartered boat out on the bayou to kayaking and canoeing or a day out on the water with friends, family, and some music and drinks. Some typical fish often found in Lake Charles are hardhead catfish, speckled trout, flounder, and redfish. At 4,028 acres of surface area, Saratoga Lake isn’t even close to being the biggest lake on this list, but it’s still absolutely worth a trip. Located just north of Saratoga Springs, New York, Saratoga Lake is well known for boating and fishing. There is a large sandbar in the middle of the lake, and it’s quite a popular place for people to anchor their boats and go for a swim and there is a floating stage where events and concerts are held. Saratoga is especially beautiful in the fall, when the autumn leaves change color and the world around the lake is resplendent in shades of red, orange, and yellow. 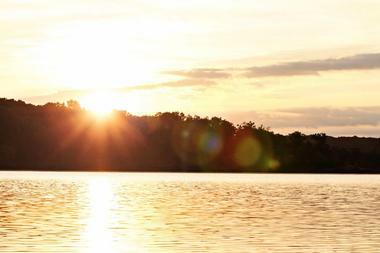 Beaver Lake is a beautiful destination within Arkansas’ Ozark Mountains. 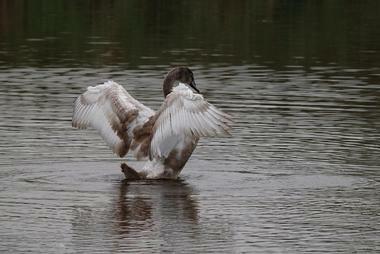 The lake was created in the 1960s by the Beaver Dam and serves to prevent floods in the surrounding areas. 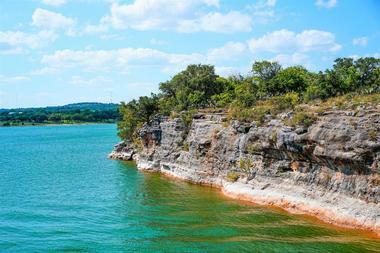 Beaver Lake itself is surrounded by tall cliffs of limestone and several caves. On the water, there are usually plenty of boaters, fishers, and even scuba divers exploring the natural beauty of the lake. Its waters are crystal clear and used to supply drinking water to five nearby counties, and the lake is home to many species of fish, including trout, bass, catfish, and stripers. It’s hard to believe that the tranquil atmosphere of Big Bear Lake is only about 100 miles from the hustle and bustle of Los Angeles, but there it is, a paradise awaiting anyone who needs to escape the big city. 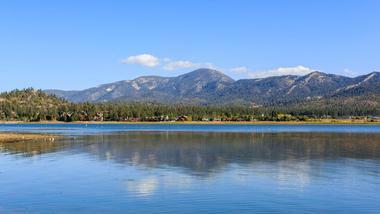 This lake, located in the San Bernardino National Forest, is surrounded by tall mountain peaks and the green canopies of trees, with 22 miles of gorgeous shoreline. 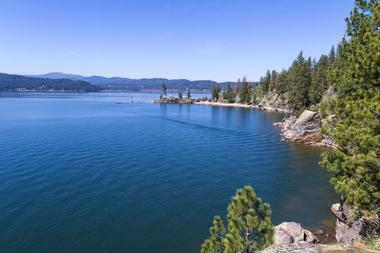 Boaters on Big Bear Lake can try their luck at catching rainbow trout, large and smallmouth bass, bluegill, and many more types of fish, or take a dip in the refreshingly cool waters. The massive Caddo Lake covers almost 27,000 acres, part of which is in the state of Texas and the other part of which lies in Louisiana. This lake is a lot of fun for boating, as it consists of many interconnected waterways, islands, swampy bayous, and channels. 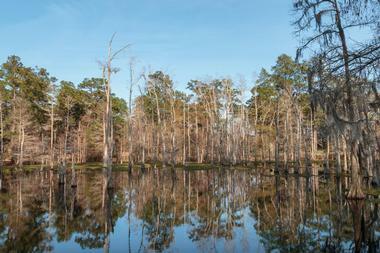 In many parts of the lake, trees grow right out of the water. These features are mostly on the Texas side, which errs on the side of swampy, while the Louisiana portion of Caddo Lake is much more open and easy for boaters. 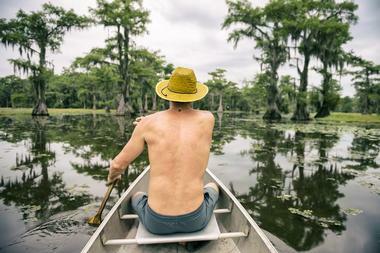 The hot climate in the region means that the weather on Caddo Lake is generally sunny, although it also means that sunscreen and lots of drinking water are an absolute must. Crater Lake is the namesake of Crater Lake National Park, a huge and beautiful park that lies at the foot of the Cascade Mountains, about a hundred miles from the Pacific Ocean in southern Oregon. 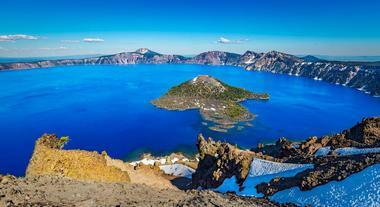 Crater Lake is the deepest freshwater lake in the entire USA, and it’s listed in the top ten deepest freshwater lakes in the world, with depths reaching to almost 1950 feet at its deepest. Visitors to Crater Lake can enjoy some beautiful sights of sweeping mountain vistas from on the water or the shoreline, and plenty of swimming, fishing, hiking, and camping opportunities are to be found within the park. 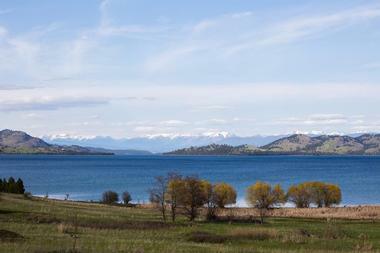 The surface area of Flathead Lake covers over 122,500 acres, making it one of the largest freshwater lakes in the US outside of the Great Lakes. This glacial lake was formed over 10,000 years ago and has a shoreline of over 160 miles. It is surrounded by gorgeous mountains and there are many great hiking opportunities that provide wonderful views of the lake. On the lake itself, fishing enthusiasts will find 25 unique species of fish, including yellow perch, sculpin, mackinaw, and bull trout. Flathead Lake is also purported to be the home of Flathead Nessie, a mythical lake beast who has been spotted periodically over the past century or so, although no definitive proof of her existence has ever been reported. Lake Superior is not only the largest of the Great Lakes, it is also the largest freshwater lake in the world. The enormous lake is great for fishing enthusiasts and is home to walleye, trout, chinook, salmon, and many, many more species of fish. Boaters in the middle of Lake Superior will feel like they are adrift on the ocean, with no land in sight, and at the lake’s edges, they will find many marinas, ports, and cities with all the amenities they could hope for. Sailboats, fishing boats, and speedboats will feel right at home on the waters of Superior, and the edges of the lake, as well as the rivers that offshoot it, are great for kayaks and canoes as well. Lake Champlain comprises part of the border between New York and Vermont, a long thin lake that stretches north into the Richlieu River in Quebec, Canada. 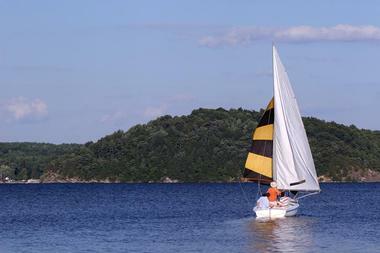 There are over 70 islands in Lake Champlain, and its edges are full of beautiful state parks, like Kamp Kill Kare State Park and North Hero State Park. 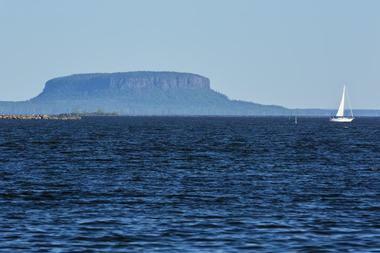 Those fishing in Lake Champlain can test their luck to find walleye, pike, salmon, bass, and more. The lake is also home to Champ, a horned serpent who lives in the waters of Lake Champlain according to legend. Champ is purported to be harmless, and easily scared off by boats and humans, so there’s no reason to fear this lake’s beast. 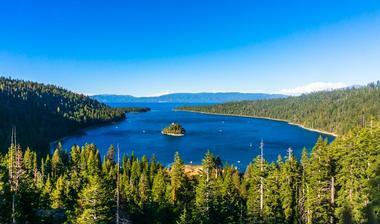 On the border of California and Nevada is Lake Tahoe, one of the most famous lakes in the country. Bounded by resorts, campsites, quaint towns, and mind-blowing spas and restaurants, Lake Tahoe is a major vacation destination because of its astounding beauty and sense of tranquility. There are sandy beaches, plenty of hiking opportunities and, of course, the water. Lake Tahoe is one of the deepest lakes in the US, with depths reaching up to 1,645 feet, and it’s a great lake for swimming, fishing, and boating. Boats of all kinds are available for rent, and visitors to Lake Tahoe can take a leisurely kayak ride on the water or go parasailing from the air behind a boat. 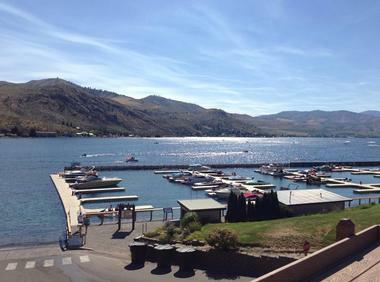 One of the deepest lakes in the United States, Lake Chelan in Washington state reaches depths of up to 1,500 feet. The lake, located in gorgeous North Cascades National Park, is about 50 miles long, but the average width of the lake is only about 1 mile. The stunning backdrop of the Cascade Mountains that rise up from the edges of the lake make a day boating out on Chelan an incredibly scenic one. Visitors to Lake Chelan can swim, kayak, canoe, fish, or even dive from some of the tall rocks that line the water. Jet skis, pontoon boats, and speedboats are available for rental, as are inflatable tubes and water skis. Lake Cumberland is a reservoir in Kentucky that was created in the 1950s as a hydroelectric power source and as a method of flood control. But this very useful body of water is also quite beautiful, with deep waters and a surrounding area of green trees, rolling hills, and plenty of wildlife. Fishing is one of the most popular pastimes on Lake Cumberland, with state records held for sauger, sturgeon, walleye, striped bass, and several varieties of trout. The lake is also known as a popular spot for houseboats, and visitors to the lake will spot plenty of these unique craft upon the water. 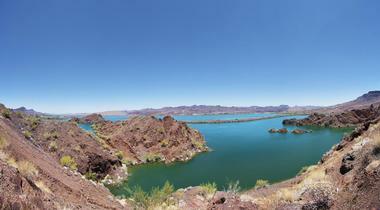 The giant reservoir of Lake Havasu was formed in 1938, and it lies along the Colorado River, on the border between California and Arizona. There are boat tours on Lake Havasu and the Colorado River as well as boat races and ample opportunity for swimming and watersports like waterskiing, jet skiing, and sailing. 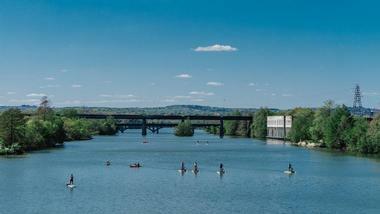 Visitors can take a kayak out onto the water or fish for striped bass or channel catfish. Lake Havasu also has the incredibly unique distinction of being the current home of the historic London Bridge, which was moved from its original location on the Thames River in England to Arizona in 1968. Lake Kissimmee State Park is a beautiful area of land in Florida, full of trails, forests, prairieland, ample wildlife, and several beautiful lakes. The centerpiece of the park is Lake Kissimmee, a huge, shallow lake that boasts a surface area of almost 55 square miles. The average depth of Lake Kissimmee is only about 5 feet, and the maximum depth only reaches about 12 feet deep. Visitors to Lake Kissimmee find it a great place to go boating, kayaking, canoeing, or fishing, with an abundance of largemouth bass, bluegill, sunfish, and crappie. Lake Michigan is the only one of the Great Lakes that lies entirely within the United States and does not share a border with Canada. 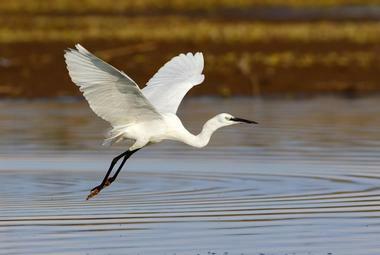 It is the largest freshwater lake in the world to be located in a single country. Lake Michigan is massive, with over 1,600 shoreline miles and even tidal patterns that create waves on the ocean-like surface of this freshwater lake. Its edges are packed with cities, towns, and nature as well as beaches that have some of the most beautiful and sought-after sand in the world. On the water, lucky fishers might find salmon, trout, bass, steelhead, and walleye, and boaters can try their hands at sailing, jet skiing, or waterskiing. 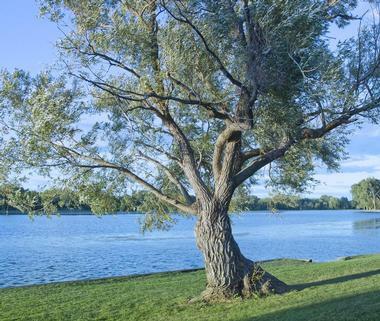 The name Lake Minnetonka comes from a Sioux word that means “big water,” and this big lake, which contains a surface area of over 14,000 acres, certainly lives up to the name. Located in Minnesota, Lake Minnetonka has been a popular tourist destination for centuries, with steamboat tours and ferries operating regularly on the water as well as locals fishing or relaxing. Today, visitors can still explore the lake via a steamboat cruise aboard the historic Minnehaha or rent a pontoon boat or speedboat for a day out on the water. Minnetonka is a popular fishing area, with many national tournaments held there every year, and anglers will find a veritable paradise in its waters. 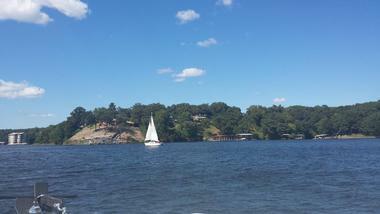 Lake of the Ozarks is a snakelike lake that winds its way through the plains of central Missouri. The shoreline of this oddly shaped lake is, at 1,150 miles, longer than the California coast, and contains plenty of opportunity for recreation. Home to Lake of the Ozarks State Park, visitors can go hiking, biking, or camping – that is, when they’re not too busy enjoying themselves out on the water. The lake is a popular fishing destination, full of bass, walleye, crappie, catfish, and more. Swimming is also popular, with gathering spots like Anderson Hollow Cove offering a great place to anchor the boat and jump in for a dip. 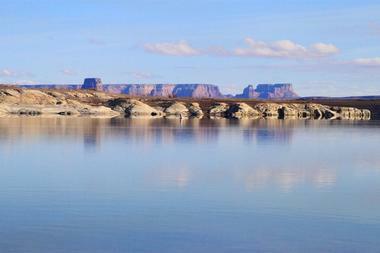 Lake Powell is one of the largest manmade reservoirs in the United States, with a shoreline of almost 2,000 miles and a surface area of over 160,000 acres. Lake Powell is located on the border of Arizona and Utah, and its location in the middle of the desert makes it an incredibly picturesque spot, drawing millions of visitors every year. Fishing is open all year round, and possible catches include bass, catfish, sunfish, and crappie. Boats of all kinds are welcome on Powell’s waters, with everything from kayaks and paddleboards to houseboats available for rental. Located on the Colorado River in central Texas, Lake Travis is a large reservoir that offers lots of opportunity for recreational activities. Visitors to Lake Travis can go fishing for bass, catfish, and sunfish, or go ziplining through the air with great views of the water. The lake is also a popular spot for boating of all kinds, from kayaking to pontoon boating, and many people even go scuba diving beneath the surface of the lake. There’s even a designated spot called Hippie Hollow Park, which is adult-only and has a clothing optional policy. 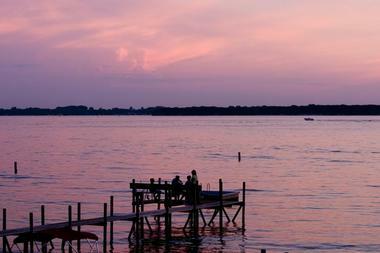 Lake Winnebago in Wisconsin is a fisherman’s paradise. There is an incredible number of species of fish in this lake, including muskellunge, walleye, pike, bass, and sturgeon, to name just a few, and the lake plays host to a number of very competitive fishing tournaments throughout the year. Lake Winnebago is so large that fishing in one part of the lake feels completely different from fishing in another part of it, and many locals joke that it seems like multiple different lakes. There is plenty of room on the water for boats, and on a sunny day the lake is quite populated with sailboats, power boats, and people jet skiing or waterskiing. 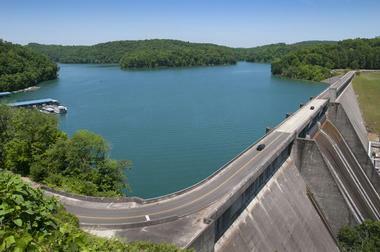 Norris Lake is a reservoir that was built in the 1930s for flood control. Its surface area is approximately 33,000 acres, and with over 800 miles of shoreline, Norris Lake offers a plethora of options for activities. The lake is stocked with striped bass, crappie, and walleye as well as several other varieties of fish, and the lake, which is 129 miles long, is plenty big enough for all the fishers who try their luck on its waters. There is also plenty of room for recreational boaters, and it’s very common to find visitors trying their hand at watersports. This lake in Iowa is fed by a subterranean spring, which gives the lake its lovely clear waters. 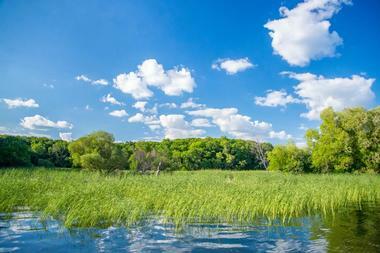 It’s the deepest natural lake in Iowa and has plenty of beaches for swimming and sunbathing. There are no motorboat restrictions on West Okojobi Lake, so there are lots of motorboats and jet skis on the water, full of people enjoying themselves and trying out watersports. It’s also a popular destination for snorkeling and swimming, although the water in this lake is exceptionally cold due to the natural spring. The lake is also known for its record breaking fish, which include tiger muskie, northern pike, short nose gar, and walleye.